Blockchain is moving beyond proof of concept and into commercialisation, delegates at the Blockchain for Finance conference in Dublin heard. The fact that the international conference, now in its third year and co-sponsored by Enterprise Ireland, chose to locate in Dublin for the second year in a row reflects the city’s growing role as a global blockchain hub. The past three years have seen enormous changes in distributed ledger technology (DLT), said panellist Anthony Day, chief operating officer EMEA for Deloitte’s Blockchain Lab, which is also located in Dublin. This is due, not just to growing awareness of the cryptocurrencies DLT supports, but the potentially even greater opportunities it offers to connect multiple parties, in a multiplicity of ways, across numerous sectors. In all, the focus is now on blockchain’s value proposition. “It’s probably the most common question we get asked,” said Day. “Most of the concepts have been proved to work” but “for those who have yet to take the leap however, the question they are asking is ‘What’s in it for me? What is the value proposition? What’s the business case for blockchain?’” he said. A number of panellists were on hand to answer. Ireland’s Ulster Bank is involved in an interbank collaboration, looking at how it can use Ethereum to create an alternative payment network and can see the broad-based benefits. 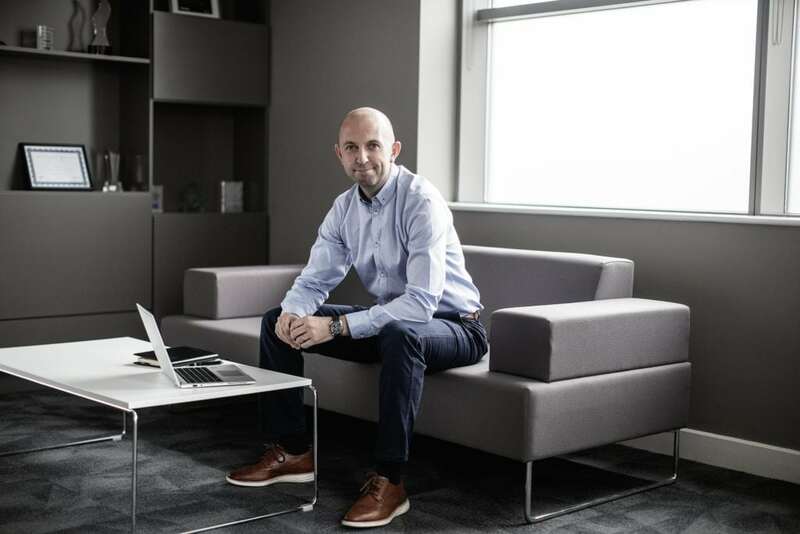 “We can see the technology itself has real commercial value in it, predominately from a cost efficiencies perspective,” said JP McKenna, Head of Innovation at Ulster Bank. These include improving speed, reducing overhead, and reducing reconciliation. “Increasing transparency around transactions can really help an organisation transform its cost base. We’ve seen that in a number of the proof of concepts we’ve looked at, whether it be around payments or regulatory reporting, and the efficiencies it can bring there,” said McKenna. The bank has also been working with R3, a consortium-backed enterprise blockchain software firm working with a broad ecosystem of more than 200 members and partners across multiple industries. It is the developer of Corda, an open-source blockchain platform that aims to remove costly friction in business transactions by enabling institutions to transact directly using smart contracts. Together with TradeIX, a pioneer of open platform for trade finance, R3 has launched a project, called Marco Polo that is a joint undertaking with over a dozen of the world’s best known financial institutions active in trade finance, including BNP Paribas, Commerzbank, ING, and NatWest. TradeIX is developing an end-to-end open account business network powered by the TIX platform and by Corda distributed ledger technology. “There are a lot of processes in trade that are ideal for blockchain,” said Sophie Wiberg Holm, the Programme Manager at R3, who heads up Marco Polo. PeerNova, a Silicon Valley company that combines blockchain with big data and cloud technologies to create a data integrity application, is working with two of the largest banks in the world, said Raghu Rao, its VP for Business Development. The company is currently working with a US bank’s treasury division, tracking the custodial movement of assets and corresponding payments. In doing so, it provides operational business intelligence as these assets flow through multiple systems. “This is essentially a green field application, something they were never able to do before,” he said. PeerNova is also working with a large European bank where the focus is on driving operational efficiencies in trade validation and reconciliation of internal databases. “There, the value proposition is a 10X efficiency they are able to achieve through this platform,” he said. A key challenge for DLT consortia such as Marco Polo, however, is ensuring people see not just the commercial value of the tech, but of working collaboratively to develop it. 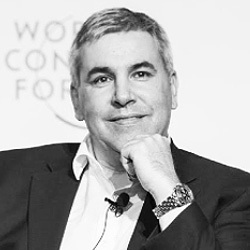 “It has been about – how do you find a business model that allows for partners that are involved, like Microsoft and Oracle and the other tech providers – how do you build a model that incentivises them, that has a commercial model around it for them, and (yet) still encourages a-co creation and decentralised network,” said Wiberg Holm. The focus now needs to be on ensuring the right governance and frameworks are in place for DLT, said McKenna, indicating that consortia like R3 help build trust. “The tech challenges have been, or are being, addressed. It’s about building the right frameworks around it so you can get on with it,” he said. For PeerNova, as a nimble fintech trying to get into large banks, part of the challenge gaining traction initially was blockchain “hype” in 2015, said Rao. At that stage, every bank had large innovation teams and a desire to do proofs of concept “for the sake of it,” he said. Now it’s about developing solutions that can work at scale too, coping with both volume and velocity. A residual challenge facing blockchain companies is banks’ traditional conservatism, however, which often translates into a desire to be a last mover, said Henri Dethier, Technology Solutions Professional at Microsoft. He also identified a need for banks to first address their legacy systems, another drag on the market. Opportunities for blockchain extend far beyond financial services, however. Trade finance solutions alone are already giving rise to additional opportunities across sectors such as trade credit insurance, supply chain and procurement, said Wiberg Holm, pointing to BiTA, the Blockchain in Transport Alliance as a case in point. This is opening up questions about whether, for example, in the future a tool used to verify events in transportation might also be used to verify transaction in capital markets. If so, it suggests additional potential for various industries to come in and play new roles for one another in future, she said. That will result in nothing less than “a mindset shift”, said Day. Enterprise Ireland, the trade and innovation agency, is one of the largest venture capital funders of tech start-ups in the world, and has been actively supporting blockchain development over the past year. The agency provides both financial and development support to a number of blockchain companies, including Aid:Tech – an Irish start-up that uses blockchain technology to distribute international aid in refugee camps – a clear indicator of the importance being placed on the quickly emerging technology in the country that is also a global innovation hub. “Our focus is primarily on investing in early stage start-ups. We are one of the largest VC firms, if you want to consider us like that, in the world. We’ve done 1600 investments in the last 20 years in Irish companies’ international expansion plans,” said Eoin Fitzgerald, senior development advisor for fintech at Enterprise Ireland. Enterprise Ireland also supports companies in emerging technologies in other ways. “In June, we announced a Competitive Start Fund, which is focused on early stage ideas but with a specific deep tech element to it, because we had seen the growth in the blockchain space,” said Fitzgerald. “A lot of our work is engaging with either the sector itself, or the expertise, on behalf of our clients, whether in international markets, through events, or working with the likes of the Blockchain Ireland initiative and the Blockchain Expert Group, and being our clients’ representative at these,” fintech professionals at the Blockchain for Finance Conference, sponsored by Enterprise Ireland, heard. Enterprise Ireland also delivers supports such as R&D grants and innovation partnerships, to help companies across sectors such as food, transportation, logistics and supply chain management, “where we see blockchain being a potentially disruptive technology,” he said. The working group is currently looking at regulatory approaches to crypto currencies in other jurisdictions. “Regulation here needs to be proportionate and adequate, and to do it in such as way that is not going to hinder development in this space,” co-author of the discussion paper Mai Santamaria, a Senior Financial Advisor at Ireland’s Dept. of Finance. Attendees also heard how Ireland has proven to be a good location for US fintech First Data, one of the world’s largest payments processors. According to fellow conference panelist Chris Mascaro, head of the R&D lab at First Data in Nenagh, Co. Tipperary, the company processes payments for merchants across 4,000 bank relationships. “Because of our central position in the ecosystem, it’s important for us to be able to facilitate payments in all currencies and across borders. We only recently opened the centre in Nenagh and have been investigating how to be a main player in – and not fall victim to – a disruptive technology by getting involved,” he said. Ireland is becoming such an attractive location for cutting-edge research and innovation in this field because of the strength of its community of tech professionals. “Geographically Ireland is very uniquely positioned as the gateway between the EU and the US, and to some extent Asia,” he said, which works well for First Data, facilitating partnerships and collaborations with other companies researching this space. The collaborative nature of the fintech ecosystem in Ireland is one of the key strengths underpinning blockchain development here. Enterprise Ireland helps drive that collaboration through its involvement in initiatives such as Blockchain Ireland, itself spun out of the Industrial Development Authority (IDA)-led Blockchain expert group. Across all sectors, and all stages in the business cycle, from start-ups to large scale multinationals, all work together to share their views and understandings of blockchain, with Blockchain Ireland’s role being to “shine a spotlight” on developments, said Fitzgerald. “It’s about showing what is going on, what companies are active in this space, what start-ups, what government initiatives are being worked on, what are the challenges, where are the gaps, and how can we connect people together,” he said. The advent of a Master’s Degree in Blockchain is a statement of intent for Ireland’s bid to become a global blockchain hub. This multifaceted, collaborative approach to blockchain is yielding results. “Things are moving beyond proof of concept,” said Fitzgerald, indicating Aid:Tech as a case in point. Recent decisions by companies including ConsenSys, Coinbase, Wachsman and the we.trade group, a consortium of nine major European banks, to base their blockchain initiative in Dublin, also backs up Ireland’s position as a fintech location of choice. Seven Irish regtech companies have been named in the 2019 RegTech 100 list, highlighting Ireland’s impressive position in the rapidly evolving sector. Ireland is punching above its weight in the regtech field, ranked at number three in the world, just behind the UK, a global leader in financial services, and tech powerhouse, the United States. The influential RegTech 100 lists the world’s most significant and innovative technology providers who deal with regulatory and compliance issues within financial services. Compiled by FinTech Global, the RegTech 100 names Irish companies AQMetrics, Corlytics, Fenergo, Governor Software, RegBot, Sedicii and ViClarity. Criteria for being considered in the list include the impact the company has had on the problem being solved; growth in terms of capital raised, revenue and customer traction; technology innovation; potential cost savings and other efficiencies; and how important is it for financial institutions to know about the company. In compiling this year’s RegTech 100, a panel of industry experts evaluated over 800 companies, more than double the number considered last year. The development not only shows the growth in regtech globally but also in Ireland, where investment in the area has risen from around €7 million in 2014 to €270 million in the first three quarters of 2018. Globally, over $4 (€3.5) billion has been invested in regtech companies since the beginning of 2016, and Ireland has attracted a significant proportion of that investment. Regtech is considered one of the most important sub-categories of fintech as, since the financial crash of 2008, there has been a growth of legal and regulatory requirements within the global financial services industry. From the perspective of financial services, regulatory risk has become equal to other financial risks, such as currency, fraud, and cyber risk. According to Corlytics, there are over 2,500 compliance rule books globally, and around 250 regulatory alerts are issued every day by over 900 regulators. That leaves firms exposed to a potential of $270 (€238) billion worth of regulatory risk each year. With vast volumes of regulations to analyse, financial services companies struggle not only to monitor, but to understand, what is actually relevant to their business. Regtech companies typically offer clients an automated way of keeping abreast of regulatory changes through things like data analytics and artificial intelligence (AI). One of the main advantages of regtech is the speed and efficiency of its products and services. The use of technology to analyse regulations cuts down on costs associated with the need to hire high numbers of compliance officers to perform similar duties. To take RegBot as an example, the solution acts as a ‘virtual regulator co-pilot’, assisting traders in real-time to comply with regulations. It also allows compliance specialists to examine regulatory queries more quickly and efficiently. This functionality speeds up business processes, reduces analysis bottlenecks, and can lead to more business opportunities. Not only do regtech firms analyse regulatory risk, companies such as Governor Software offer solutions that examine risk appetite within companies. By pulling information from other systems, Governor enables clients to gather metrics and other data to help them make informed decisions. This allows organisations to understand, map, and monitor the complex interrelationship between risk appetite, regulation and objectives. Client onboarding and offboarding is a fast-growing regtech subsector. Fenergo’s Client Lifecycle Management software helps companies to manage, and subsequently remove, redundant, obsolete or incorrect information held on clients, accounts and assets. Inactive or dormant accounts may still need to undergo regulatory credit worthiness checks and reviews each year. Such checks, along with the associated costs for staff, technologies and operational processes required to maintain these reviews, are a waste of resources if clients are not successfully offboarded. Regulation governing personal data is a space that Sedicii focuses on and has developed technology that eliminates the transmission, storage and exposure of private user data during identity verification. 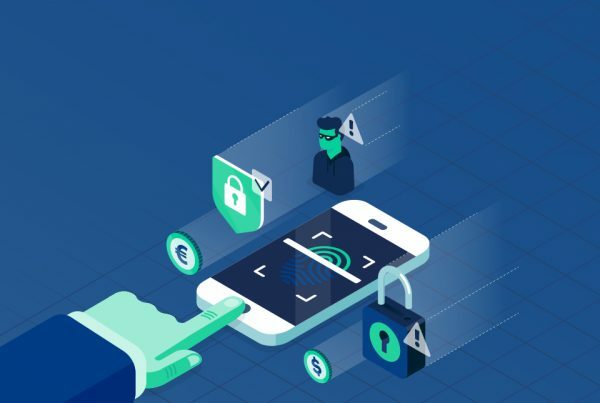 Such technology is vital within financial services as it can reduce identity theft, impersonation and fraud, and enables users to consume digital services without exposing private data. While regtech primarily deals with financial services, regulatory compliance is a concern in other spheres, such as healthcare. ViClarity’s risk, compliance and auditing software is used by Ireland’s Health Service Executive (HSE) and Bon Secours Health Systems. Its software increases operational efficiency, offers real-time compliance, and aims to create a culture of accountability and transparency by delivering a complete audit trail on all activities. Looking to the future, regtech technology will most likely be applicable in any sphere that requires regulation gap analysis, compliance and management tools, transaction and activity monitoring tools, and training tools, among others. With Ireland producing some of the world’s leading regtech companies while attracting considerable investment, it is neatly positioned to take full advantage of this technological revolution. An intrinsic challenge arising with the explosive growth of e-commerce is the requirement to send personal information – identification documents, email addresses, phone numbers and other personal data – to every merchant or vendor you deal with. No matter how sophisticated the encryption, points of vulnerability remain – whether human or technological. Individuals can fall victim to phishing, unwittingly sending personal information to bogus organisations and constantly running the risk of fraud and identity theft, which can take years to correct. Many organisations have been hacked with potentially grave consequences for customer and citizen privacy. The adoption of new legislation, such as GDPR, and new anti-money laundering regulations are forcing the hands of industry to do more in order to preserve citizens’ rights to privacy with respect to the handling of personal information. 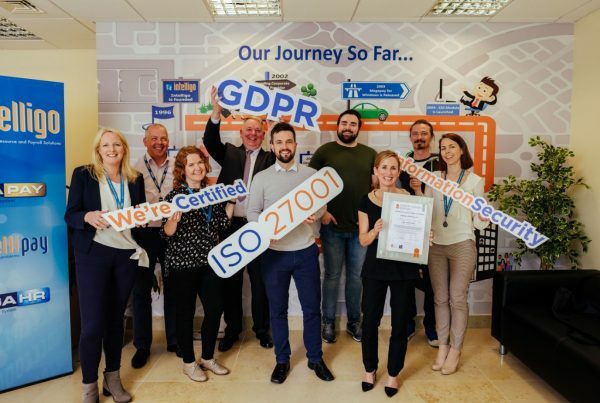 Irish company Sedicii has created a highly innovative solution to this problem by developing a platform that enables organisations to prove a person’s identity against a trusted source without the requirement to send sensitive personal data anywhere. Known as the “zero knowledge proof protocol”, the Sedicii platform uses complex cryptography which allows two entities (people, organisations, devices) to prove to each other that they have the same data without the need to expose any data to each other. The technology can be applied to a wide range of information, in particular to personal identity data such as passport details, birth date, gender, nationality and address details. The beauty of the Sedicii solution comes from its versatility. It can be used in KYC processes in banks, in evidential exchange processes by law enforcement agencies and by airports and airlines to securely validate passports and other travel documentation. 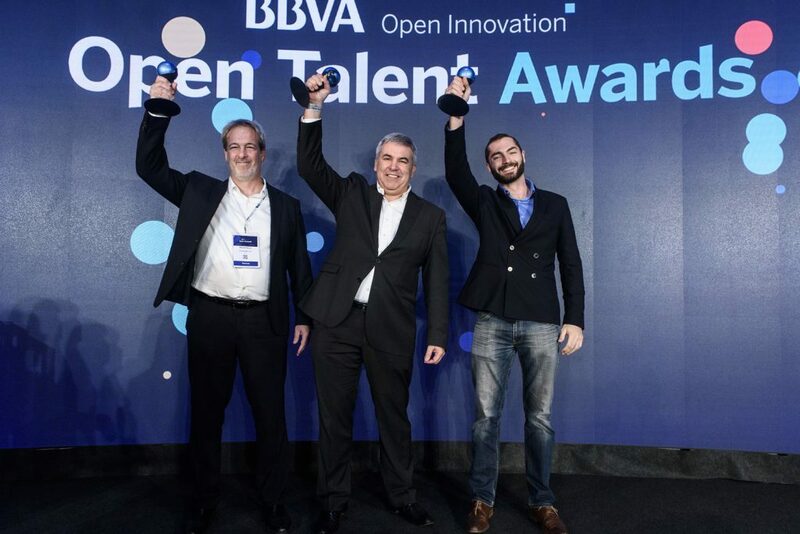 The company won the overall 2018 BBVA Open Innovation Fintech for Future Award along with the BBVA Regtech Award in Madrid in October in what is considered to be the top fintech competition in the world. “What we do is allow organisations to match identity or other information with individuals or other organisations without any information actually being exchanged,” says CEO and founder, Rob Leslie. The Enterprise Ireland High Potential Start-Up has raised €3 million in funding to finance its planned growth over the next 18 months. While still at an early stage, Leslie believes Sedicii is about to enter a very exciting phase in its development. The BBVA Open Innovation Fintech Award will open doors for the company around the world, particularly the US. “In the first instance it put us on the main stage of the Money 20/20 Conference in Las Vegas. Privacy is going to be much more of an issue in the US than it has been up until now and that will create opportunities for us,” says Leslie. Global banks have to deal with an increasing variety of regulatory requirements and changes, and compliance can be challenging. Thomson Reuters – whose regulatory intelligence feed monitors 900 regulatory bodies – estimates that the number of regulatory changes that a bank needs to deal with on a daily basis has increased from 10 in 2004 to 185 in 2018. This trend can be expected to continue given the continuously evolving financial services industry. Regtech has registered strong growth in the last few years with support from regulators and a realization that expanding compliance teams is not the most effective way to meet regulatory requirements. According to Frost & Sullivan estimates, the regtech solutions market is expected to be worth US$6.45 billion by 2020. Some of the regulations that are expected to impact the financial services industry include Markets in Financial Instruments Directive II (MiFID II), General Data Protection Regulation (GDPR), Revised Payment Service Directive (PSD2), and Insurance Distribution Directive (IDD). The constant evolution of the regulatory environment increases the risk of non-compliance. In the last few years, the focus on regulations and compliance has increased substantially and banks have paid large penalties amounting to hundreds of billions of dollars for non-compliance. Providers will also closely monitor developments such as Brexit to create relevant solutions. At least some of these regulations are expected to have a global impact. For instance, GDPR deals with the use of personal data in the European Union (EU) and European Economic Area (EEA), allowing residents more control over personal data. However, companies outside of the EU who have customers within the EU will also need to comply. With strong penalties for data breaches, which can be 4% of global revenue or EUR €20 million, which is higher, a focus on deploying adequate experts and technology to ensure GDPR compliance is increasing. Regtech service providers are launching products to deal with specific regulations. For instance, Collibra, which offers a data governance platform, has updated its solution with a GDPR Accelerator. It enables clients to use a phased approach to prepare for and comply with GDPR. Another example is that of Pontus Vision, a London-based Regtech firm. It launched Pontus Vision GDPR to enable fast compliance for financial service firms that struggle to deal with historical data management. The company worked with the UK Government to develop this solution. Customizable solutions are essential, as companies may encounter unique challenges based on the scope of their operations and current circumstances. The large amount of structured and unstructured data present in siloes creates complexities that can be better managed by solutions powered by data analytics and artificial intelligence (AI). Israel-based MinerEye launched an AI-powered solution, MinerEye Data TrackerTM that enables safe and compliant cloud migration of data. Adopting the ‘compliance by design’ approach, it effectively and continuously identifies, organizes, tracks and protects data. Similarly, Irish law firm McCann FitzGerald has collaborated with Neota Logic, an AI-driven platform company, to develop a GDPR Gap Analysis app. The new app assesses the level of GDPR compliance and identifies areas of high risk. Another regulation that is a core focus for banks is PSD2; this requires financial institutions to allow third party providers to access consumers’ accounts (with consent). The launch of innovative products by fintech companies will help them to garner greater market share. For banks to take advantage of PSD2, they must explore new business models. It will also lead to greater collaboration between incumbents and fintechs. German service provider figo helps banks to introduce innovative products and services. Consorsbank, a BNP Paribas brand, launched its multi-banking service with figo technology. It allows customers to add their accounts and deposits with other banks, and enables the management of all finances in one place. figo also launched its RegShield solution to handle PSD2 relevant processes and licensing requirements for fintechs and incumbents. 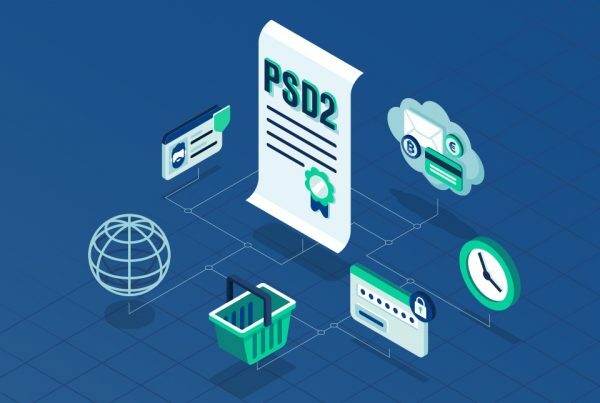 This license-as-a-service (LaaS) solution can help to create PSD2-compliant customer processes and prepare reports for audits. AQMetrics received approval from the Central Bank of Ireland (CBI) in January 2018 to operate a MiFIDII Approved Reporting Mechanism (ARM). Enforced in January 2018, MiFID II aims to offer better protection for investors and increase transparency of various asset classes. The comprehensive regulation with more than 1.4 million paragraphs of rules, the AQMetrics platform will be able to report transactions directly to all European regulators. Companies will find it increasingly difficult to deal with regulatory complexity. Human resources and traditional systems cannot meet the tough standards of compliance set out by these regulations. The paradigm shift in the regulatory environment will mandate a digital-first approach – and the future of the regtech industry will be driven by solutions that draw on the ‘compliance by design’ philosophy. Download our free white paper to learn about the pivotal role of regtech in the digital transformation of financial services. A recent regtech pilot by the Commonwealth Bank of Australia (CBA) used a solution with natural language processing (NLP) and artificial intelligence (AI) capabilities. It converted the text of 1.5 million paragraphs in Markets in Financial Instruments Directive II (MiFID II) into compliance obligations. The experiment was completed with 95% accuracy and took merely two-weeks to complete as against 24 weeks when done manually. CBA worked with ING, the Netherlands and the UK’s Financial Conduct Authority (FCA) and used a solution by Ascent Technologies. This experiment indicates the potential for technology enabled regulatory framework, and is only one of the several experiments that regulators and companies across the world are conducting to explore the use of advanced technologies for regulatory compliance. 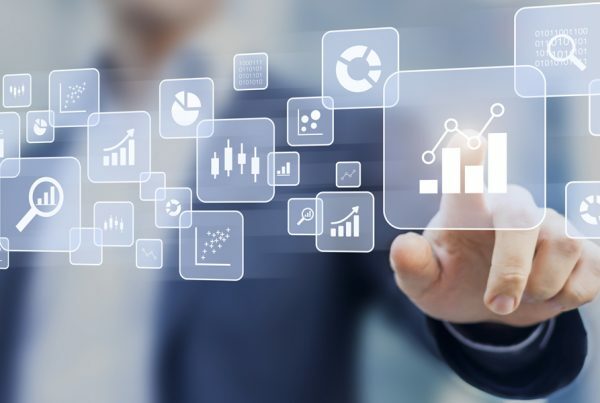 In Frost & Sullivan’s recent global survey of end-users in the banking, financial services and insurance industry (BFSI), respondents identified Artificial Intelligence (AI) and Data analytics as two of the top three most critical investments for their organization’s digital transformation success over the next 5 years. Advanced technologies such as AI, machine learning (ML), data analytics and Blockchain are expected to play a significant role that goes beyond automation. Adaptive algorithms will be able to undertake activities such as predictive analytics, interpreting new regulations, and real-time reporting. A recent survey of senior personnel from financial companies by Baker McKenzie revealed the growing understanding and acceptance for advanced technologies. About 49% of the executives mentioned that they expected their firms to start using AI-enabled solutions for risk assessment within the next three years. About 29% of the respondents expected their firms to apply AI to know more about their clients and to prevent money laundering. Traditional banks possess huge amount of data. To manage all of this data – structured and unstructured, existing and continuously streaming, and to meet regulatory deadlines, companies need solutions that can go beyond automating processes. RegBot® is a virtual regulatory compliance tool by BLXLaw, Ireland that can be integrated into business workflows. It uses proprietary algorithms to fulfill various regulatory tasks and requirements, and aid decision making. According to the company the RegBot goes beyond chatting and performs a host of tasks such as automatic classification of clients, notifications, and pre-assessment. The company has already launched a bot to manage Markets in Financial Instruments Directive (MiFID II) requirements and all its bots are General Data Protection Regulation (GDPR) compliant. Financial institutions spend millions of dollars to address the gaps in their compliance processes. According to a 2017 Duff & Phelps survey of senior executives, they expect 10% of revenue to be spent on compliance by 2022. As companies increased investments in compliance systems, they also ended up with an extremely siloed structure. The lack of interoperability, agility and scalability is a challenge. IBM Watson Regulatory Compliance (WRC) seeks to change this approach with its award winning innovations. WRC uses raw data from papers and website to convert it into a searchable and recognized schema. Following it up with cognitive and analytic processing, it enables its clients to use a single channel to manage regulatory obligations and controls using search, natural language and other tools. In addition to the significant regulatory changes such as MiFiD II and GDPR expected to impact the financial services industry, there are many other smaller changes that take place every day. According to Thomson Reuters, as many as 250 regulatory changes and developments occur every day. Manual monitoring or one time updates to existing software in this scenario is not a viable option. Gecko Governance, Ireland is a Blockchain based solution that offers a host of benefits. These include verifiable audit trail, global compliance, and a real-time dashboard. The regtech fund management regulatory solution uses a dashboard to schedule, manage and monitor the regulatory and compliance requirements in real-time. To maximize the benefits from regtech solutions, they need to be made future proof. To further facilitate this, forward looking regulators such as the Financial Conduct Authority (FCA), UK are also exploring the option of converting their own rule books into digital repositories. Corlytics, a regulatory risk intelligence solutions provider from Dublin, Ireland, has helped the FCA convert its regulatory handbook from an online textbook to an intelligent handbook. Companies invest millions in compliance and the trend is not likely to reverse anytime soon. Advanced technologies in regtech solutions will create an invisible layer that companies will increasingly rely upon. The high accuracy, data analytics, single dashboard, alerts and insights will allow companies to optimize resources allocated to compliance and achieve better outcomes. Technology investment levels are increasing rapidly across the financial services sector, driven by a desire to contain costs, improve compliance, and enhance customer service and productivity. As the ‘steady and predictable’ conditions of pre-crisis times have eroded, new challenges have emerged – compelling established financial services organisations to evolve and increase agility to enhance business performance and remain relevant. The structure of the industry has been transformed by start-ups who have introduced innovative digital products and services that directly challenge the traditional status quo. The disruptive nature of such solutions has had a profound impact across business models, products, services, delivery models, core operations, existing infrastructure and consumer engagement. The financial crisis of 2008 was a tipping point for the financial services sector. Inadequate regulatory reporting and compliance monitoring procedures were among the factors that led to fraudulent practices, initiating the downturn as a result. Of all industry participants, banks and regulators hold the most critical responsibilities. Regulators have responded by creating stricter rules and making compliance mandatory. They penalise companies when required, but these retrospective decisions are not preventive. Financial institutions are trying to remedy the situation by increasing the number of compliance staff. However, it is apparent that their efforts are not completely effective to meet the challenges posed by a constantly-evolving regulatory framework. The inconsistency and fragmentation of data management – coupled with legacy systems reliant on manual processing – adversely impact data aggregation and the accuracy – and quality – of output. Over the past decade, technology has graduated from being merely an enabler of the existing set of procedures and processes, to being a disruptor that can deliver a foundation for innovation and transformation. Tech-enabled regtech solutions focus on delivering better compliance so that companies can deal with existing and new regulations more effectively and efficiently. Adopting a digital-first approach, such solutions are designed to automate standard processes, send alerts in case of anomalies, update as per the latest requirements, analyse all the available data, and create reports that can be submitted to the authorities. Automated regtech solutions are able to achieve much more than is feasible through human resources alone – in shorter timeframes, and with high levels of accuracy. In most instances, they significantly augment the capabilities of compliance teams. Digital transformation initiatives drive company-wide change and support greater efficiency. As solutions disrupt different parts of the regtech ecosystem, the digitisation strategies of financial institutions have started to take shape. From a traditional focus of using basic software to automate manual repetitive processes, companies are now more willing to experiment to deliver outcomes that meet customer expectations related to agility and customisation. Some of the most common focus areas for digitisation include the adoption of Cloud for core and non-core functions, banking platforms, application programming interface (APIs) and integration of backend solutions across services such as money transfer or payments. Most regtech solutions can be integrated with existing IT infrastructure, enabling relatively straightforward adoption. The innovative solutions are designed to meet specific challenges. For instance, consumer verification apps that use artificial intelligence (AI) and machine learning (ML) significantly reduce the time needed for verification and can be done virtually. The impact of regtech goes beyond compliance and contributes to improved operations and enhanced competitiveness. Since data is the key input for the new wave of solutions, the use of platforms, dashboards, analytics, ML and AI enable insight to be delivered to different functional teams within an organisation. The insights can also be customised to benefit other business applications such as customer engagement, marketing, new products and services, thus enhancing overall efficiency and productivity. The value proposition of regtech has found acceptance across the financial services industry. While companies may adopt it for different reasons and maturity levels of solutions implemented may differ, effectiveness has been proven beyond doubt. The impact of emerging technologies remains in the nascent stage. However, efforts to experiment via accelerators and strategic partnerships are likely to become increasingly commonplace. The focus is on outcomes that will help companies to retain relevance and competitiveness in a rapidly evolving market with a ‘better, cheaper and faster’ approach.